Currently Unemployed? Then You Are Eligible to Win a Free Surfboard! Here's the deal: SUPERbrand and Malakye.com are teaming up to provide someone who is currently unemployed with an amazing early Christmas present! 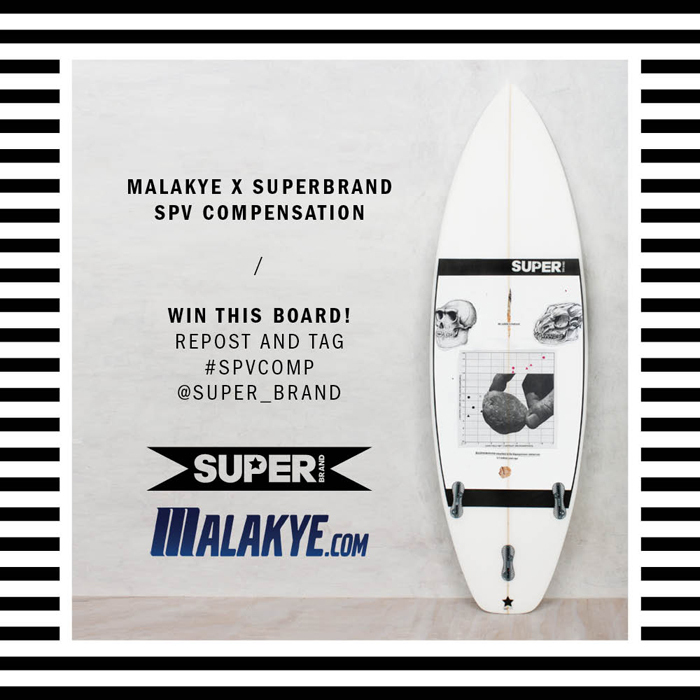 The SPV Compensation contest will supply one lucky winner with a brand-new, limited edition Siamese Palm Viper surfboard by SUPERbrand (designed by pro surfer Dion Agius). Sorry, the contest is only open to those that are currently unemployed. Here's what you have to do to win: Post the graphic below with the hashtag #SPVcomp and prove you are unemployed. Also, make sure to mention @SUPER_brand in your post to be eligible. A winner will be selected after a set time line. For more on SUPERbrand, including photos and videos, head to superbranded.com - good luck!